Since 1973 exists in Bohorok / Bukit Lawang the orang utan rehabilitation centre where orang utans can be viewed in the jungle. 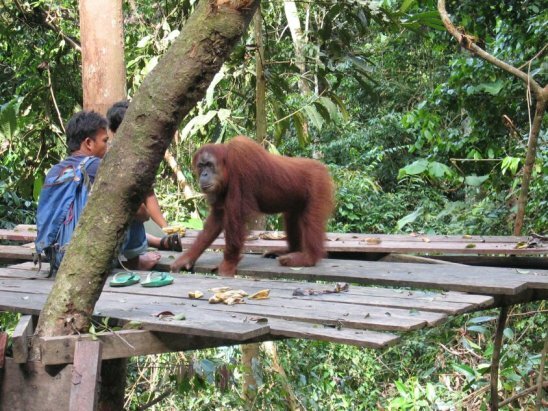 Former captivated orang utans are here set free, back in their natural environment. As they were not used to find food on their own they are being fed extra daily. The location of the feeding places is around forty minutes walking uphill. On the way you have to cross the Bohorok river in a small sampan (traditional wooden canoo). This feeding in the morning and in the afternoon became a major tourist attraction on Sumatra. 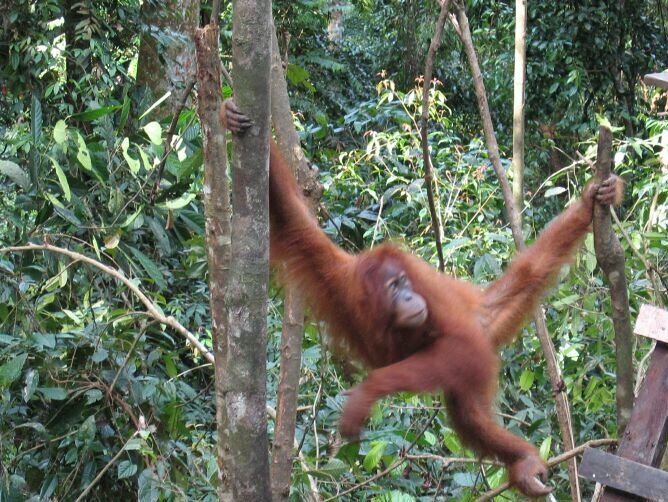 Only at two places orang utans can be seen, in Bohorok / Bukit Lawang and on Borneo. People from all over the world come to see these beautiful friendly animals. In november 2003 a major flooding happened, caused by a sudden breaking dam. During this flood the lower part of the village was destroyed. A suspension bridge now gives passage to the other higher river bank. 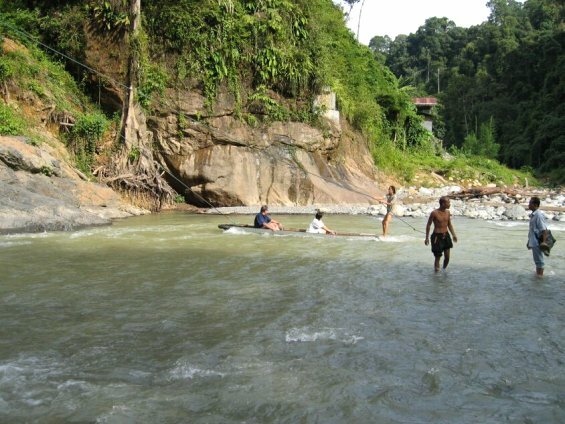 Above the wild streaming Bohorok river is located the village of Bohorok, also named Bukit Lawang. You can arrange jungle tracks for half an hour, two hours etc., with a local guide. (24 days program), but can be inserted in all other tours. Distance from Medan to Bohorok is about 3 hours, it is possible to return to Medan in the evening of the same day.